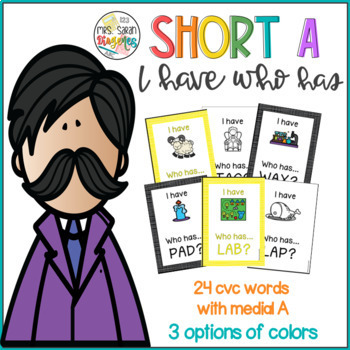 One of the most favorite games using Short I CVC words! Have students play and practice phonics at the same time. A great resource for literacy centers. Did you know that you can receive credit towards future TpT purchases by reviewing this product? © Copyright 2018 Mrs. Sarah Diogenes. All rights reserved by the author. Permission granted to copy pages specifically designed for student or teacher use by only YOU – the original purchaser of this product – in your classroom. The reproduction of any part of this product is strictly prohibited. Copying any part of this product and placing it on the internet in ANY form is strictly forbidden. Doing so is violation of copyright. Cliparts and elements found in this PDF are copyrighted and cannot be extracted and used outside of this file without permission or license. 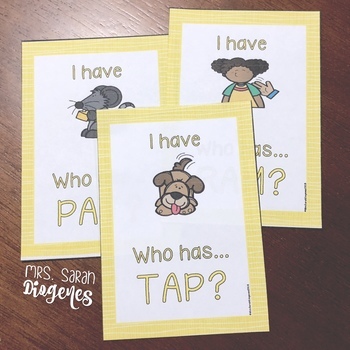 Buy additional licenses for others to use by visiting your TpT ”My purchases“ page. Review and spread the word about the product recommending that others buy their own copy by sharing a direct link to my shop. Give the products to others without the purchase of an additional license (this includes emailing the product to them, making copies of the product for them, or sharing through a drive, cloud or network. Copy or modify any part of this product to offer to others for free or for sale.